Our charismatic Chief Minister J Jayalalithaa, a classical dancer and film superstar. Gone too soon at age 68. Political satirist, theatre director and outspoken humourist Cho Ramaswamy. Over 100,000 trees, 10,000 animals and over 25,000 hectares of agricultural land were devastated by #CYCLONE VARDAH that hurtled through at 120 km per hour on December 12. With traffic choking the clogged roads littered by fallen trunks and branches, our artistes were busy rehearsing time honoured themes of Gods lifting mountains and saving damsels in distress! Except there was no Krishna to sweep our filthy roads! And no connectivity to send or share selfies! Some musicians even performed on the morning of the Chief Minister's passing even as a 3 day official mourning was announced! 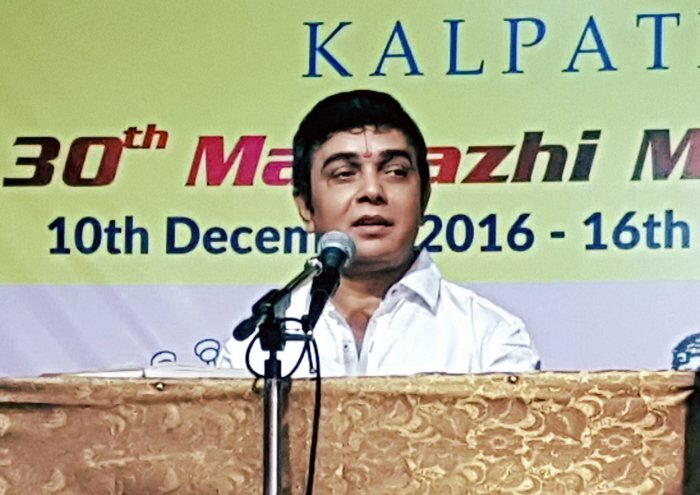 December was, however, a month filled with many events beyond performance and beyond the borders of Chennai - several to which I was a participant or an eager attendee. 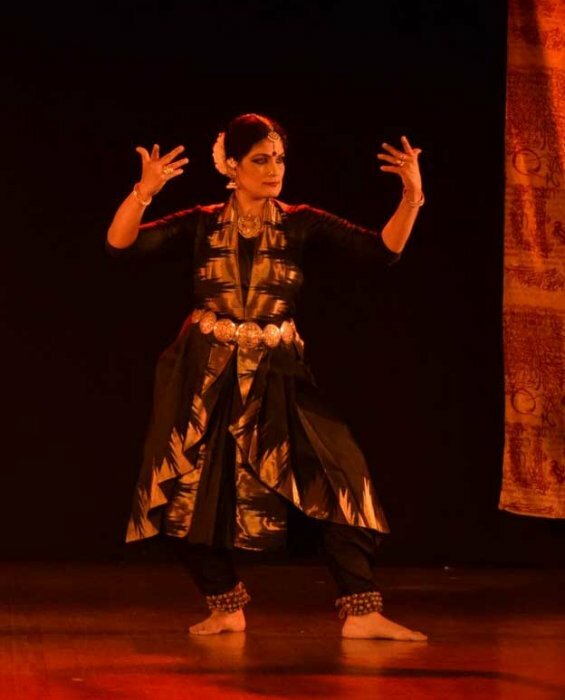 Continuing in the elegant style of founder Rupa Lal, her niece Radhika Hoon conceived a three day event that contained films, talks and evening performances, mostly housed within the spacious campus of the Sangeet Natak Akademi in South Delhi. Several young dancers were in the audience and the ideas embraced a wide array of topics from ‘Choreography in Indian dance’, ‘Global Icons of Indian dance’, ‘Tracing dance in Indian Cinema’ and the now expected talk on ‘Chandralekha and her Contemporary Journey in Dance’. In fact, this spotlight on Chandralekha has already occurred 2 times in less than a month in Delhi and Chennai. Prevented by the cyclone from travelling to Kochi for the Contemporary Art Biennale, SHARIRA, Chandra's final work was performed to a standing room only audience of over 500 people at her Elliot's Beach theatre where the work was first conceived in 2011! The Natya Ballet Centre's two day event was impeccably organised with even the RESERVED seating signs carrying the logo and signage of the festival. I was delighted to see young men and women professionally engaged in arts management and bringing a fresh perspective to handling these challenging events. The 2 evening performances I watched left me with mixed feelings. Going by their first names is “de rigeuer” for both acclaimed artistes. Watching them over the years and then back to back in New Delhi gave me new insights in their art. Aditi is a fabulous dancer. No debate on that point. However, watching her in the small space of the LTG Theatre, revealed a whole set of warts I was unprepared for. She was "spot on", in timing, execution, catching the light, agility. But... she was CLINICAL. Every arch, bend, twist was calculated. So what is wrong with that? Audiences around me were in ecstasy- oohing and aahing after every clutch of “chakkars.” So why was I restless? What was I looking for? Aditi's costumes were less than flattering but that was not it. Her dance was flawless but lacking in emotional depth and a core that I was seeking. Was it just me or were there others? Very surprisingly, several of the conference delegates expressed their “utter disappointment” at the performance. In contrast, the open air evening with Astad was magical. Despite a full two hour delay due to a technical glitch and a less than inspiring sound score by Japanese composer Yukio Tsuji, Astad proved to be the master of the moment. 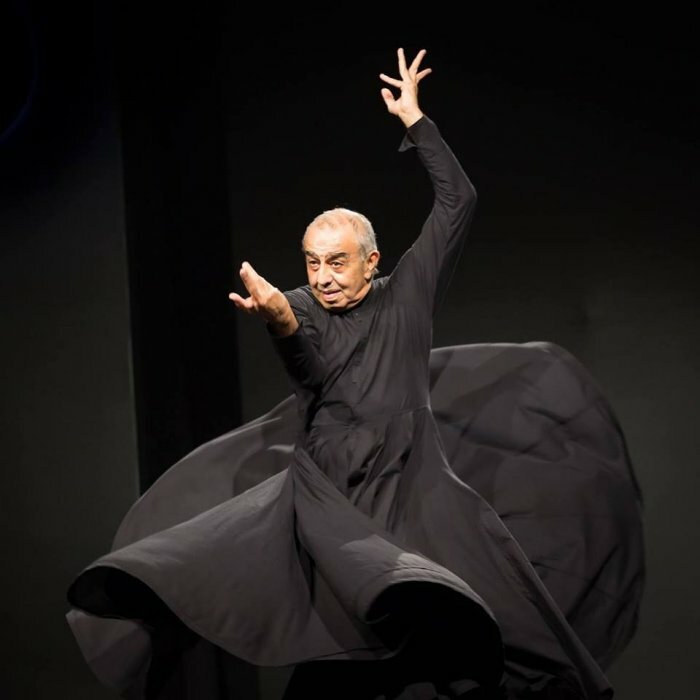 Dressed in a simple black ‘angarkha’ style robe, his dance was mesmeric. Full of passion and purpose, the vulnerability in the extreme slowness of finger and foot, his deliberate back arches while holding the voluminous robes like a plea of surrender, his hands splayed in a variety of ways - none of which were actual held “mudras” but which contained a world of ideas and his final moment of descending onto the ground, foot held within an inch of the floor and throbbing in sweet surrender brought the Meghdoot audience to their feet. I felt replete with a deep joy. There was no attempt at “wowing” with artistry. Instead Astad held us with his total immersion and integrity. I am using these words knowing full well that they may be interpreted as not being part of Aditi’s lexicon. It is not true. Both artistes have brought a whole new audience into dance. Chic film makers, left leaning activists, painters, writers, socialites and young performers flock to their shows. It is great news for dance. Astad stirred something inside of me. Aditi remained as an interesting visual display. In fact, Keerthana and Sneha are good ambassadors for a whole new generation of talent that is waiting in the wings for promoters and presenters to take note. Usha RK in New Delhi is working diligently to bring their talent to the fore. Aged 25 to 35, they are literally bursting with energy and ideas and ready to be shaped by good directors and choreographers. They are NOT ready to create their own work but are ideal clay to be moulded by experienced eyes. 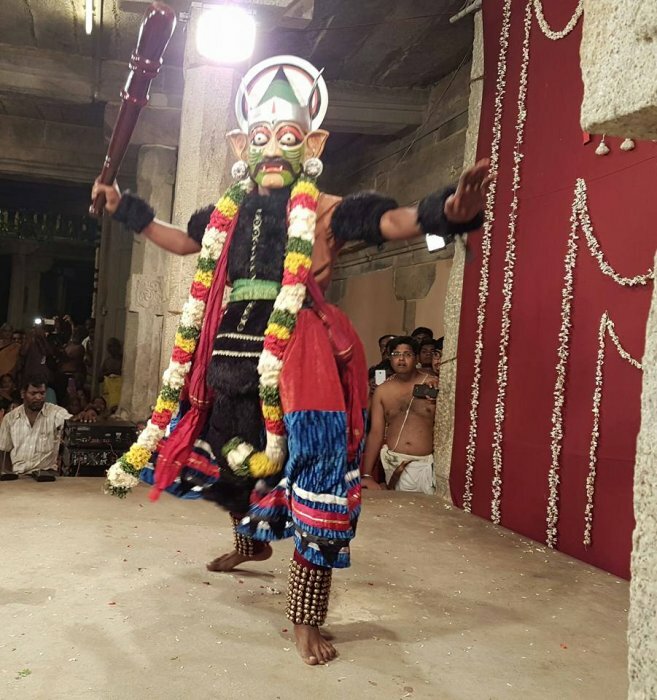 Before the Chennai season began, I was fortunate to spend four days in my ancestral village watching the revived performance of the 15th century Vaishnavite temple theatre tradition of KAISIKA NATAKAM being performed. 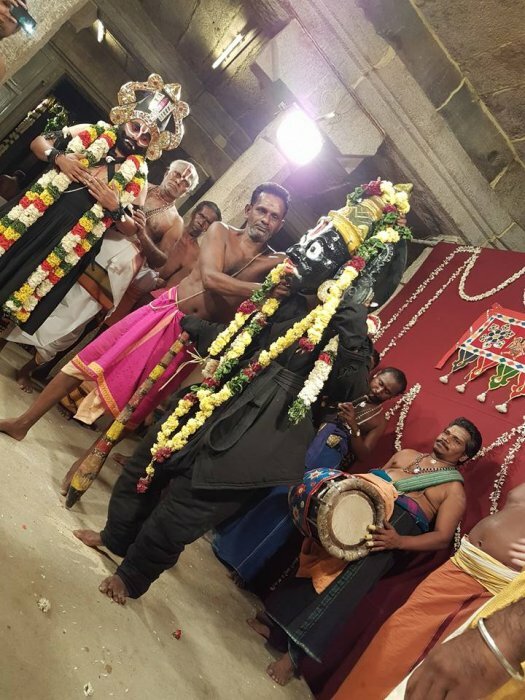 The Azhagiya Nambi shrine in Tirukurungudi was packed to capacity crowds from 7pm until 4am on the night of December 10th where the story of the devotee NAMBADUVAN unfolded to a 3000 plus audience. In engaging colloquial Tamizh, the dialogues and final denouement told the now familiar tale of caste, gender and the supreme power of surrender. The night was introduced by the first ever visit of an Odissi dance group from Bengaluru. Madhulita Mohapatra and company had the simple village folk in a mouth dropping thrall, with the young men hanging out of the rafters watching their sinuous moves. Needless to say, they are most probably returning next year! Back in Chennai, I plunged into the dance season post VARDAH, with zero connectivity and the entire city grappling with basic communication. 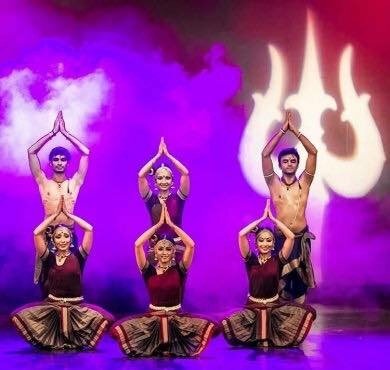 In spite of all the hurdles, the 2016 avatar of Kartik Fine Arts’ annual dance conference was a grand affair. I say GRAND, because the machinery employed for PR, visual publicity, welcome gifts and pre-post events were reflective of a corporate slant. I love it. Bringing style and resources to dance is sorely needed and convenor Krithika Subramaniam (dancer-architect) did it with aplomb. What diminished an otherwise impressive conference were the predictable panels, poor time keeping, meandering speakers and the excessive politeness of everyone! The elevating moments were the interspersed sessions of ‘NAME THE CHARACTER’ and ‘JATISWARAMS REINVENTED’. 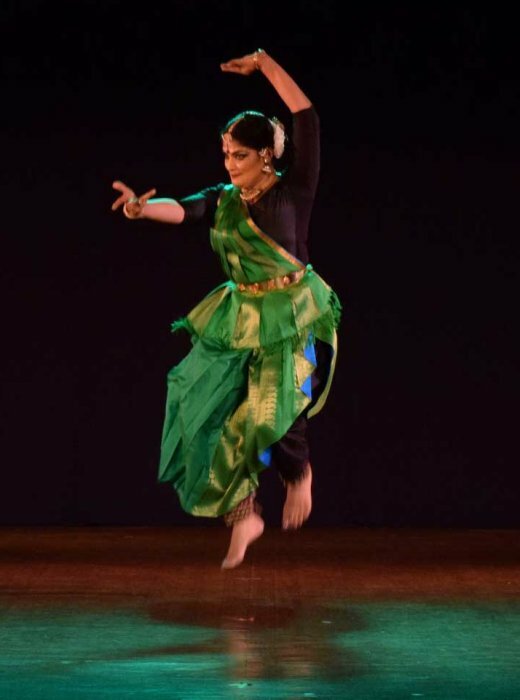 While Narthaki Nataraj's traditional repertoire appears more and more charming against the onslaught of mostly mediocre “new-ness,” the appearance of so many young and talented dancers was heartening. 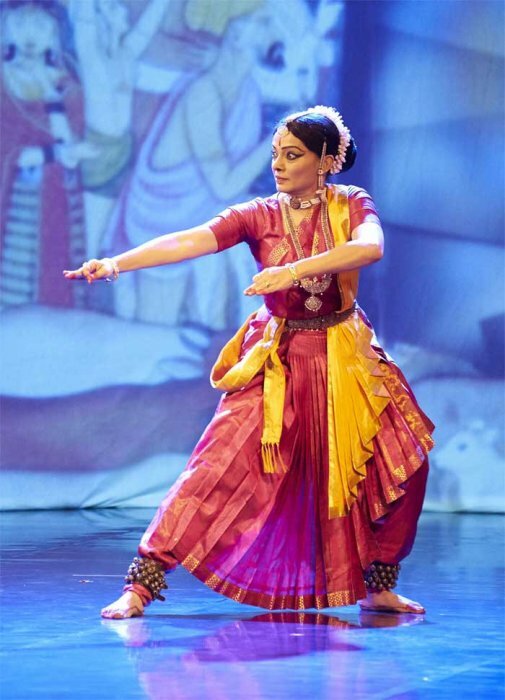 Jayanthi Subramaniam's ensemble translated the solo Jathiswaram onto group choreography with elegance and clarity. Madhusudhan’s dancers tried some bold ideas and Sridevi proved why her group of “tinsel-Barbies” are so popular with the masses. Radhe Jaggi, under the direction of Leela Samson, impressed with her execution and lovely dancing. Here is another young woman who seems to be emerging from the shadows of her uber-famous father - Global Gyani Sadguru Jaggi Vasudev! Folk performers Murthy and Tilakavati brought an effervescence onto the stage with their “bindaas” energy. There is something so liberating about folk theatre that classical dancers should watch and try to capture a small sliver of. Mallika Sarabhai’s retrospective of 20 years was lively from the word GO. The Tillana was the most effective with the repeated phrase being used with great inventiveness. The energy level of the DARPANA group is always infectious with Revanta Sarabhai taking on a leadership role both on and off the stage. 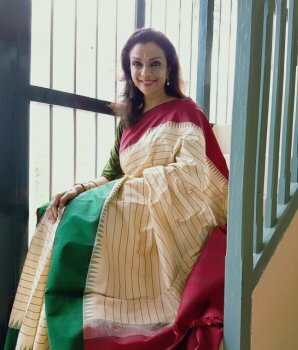 Mallika excels more in her theatre and activist work rather than classical dance but since Chennai audiences rarely get to see her, any opportunity seems welcome. Parshwanath Upadhye is the rock star of Bharatanatyam today. Oofff! What energy and what passion he brings to the stage. Dancing HARA, themed on Siva and Parvati, “Parsh” to his growing fans of whistlers and hooters, took us on his nonstop, high octane journey that scored top marks on dance quality, entertainment quotient and neat costumes. While some moments in the content could be questioned, there was no time to dwell on them as the choreography revealed one surprise after another- the women dancing with as much fervour and agility as their leader. Bravo Parsh - You are to be watched! The finale was the dance-theatre from Pune on the Mahabharata Reinterpreted. Never have I seen a galaxy of good artistes wasted on such a tired theme. Ramli Ibrahim, Gopika Varma, Vaibhav Arekar, Vyjayanti Kashi, Rakesh Saibabu and Ettumanoor Kannan were all lost in the confused dramaturgy and direction of this yawn worthy production. No character was given the dignity they deserved. The scenes were jumpy and the narrative lurched back and forth, leaving us to assume the many gaps in the flow. The auditorium rapidly emptied revealing that even audiences will not be lulled by a beloved epic if not handled well. Edit. Edit. Edit. This one word needs to be internalised by all Indian choreographers. Convenor Krithika Subramaniam invited me a day before cyclone Vardah hit the city, to handle the session on new costumes and jewellery for dance. Concentrating on the Bharatanatyam body, the 6 dancers presented to me were already draped in the style of designers Rehane, Himanshu, Lakshmi Srinath and Aiyyelu (son Sivakumar represented his legendary father). 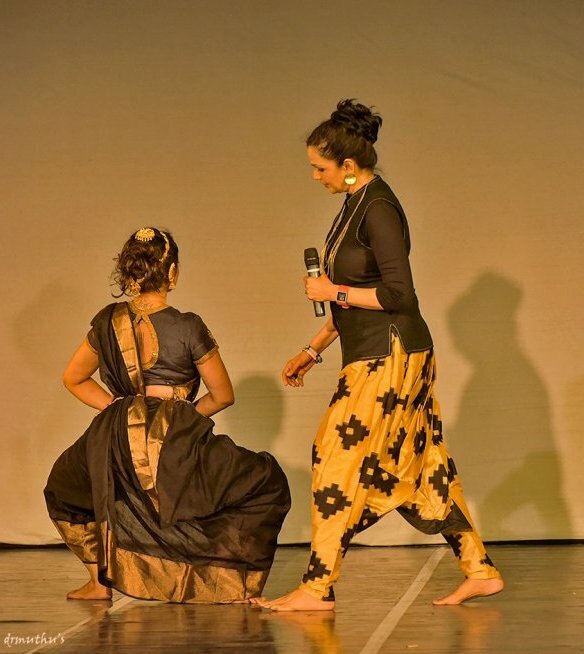 It was clear that fashion designers (Rehane and Himanshu) know very little of the moving body and much less about the Bharatanatyam body that requires the bent knee -"araimandi" position and extended legs. We tried several movements and positions live onstage, as part of the process, since I had only 90 minutes with the dancers. Aiyyelu's stitched dhoti costumes for two male dancers and Lakshmi Srinath's traditional pyjama costume seemed almost “passé” when compared to the modern drapes attempted by the others. However, they were the most appropriate for the young and fit dancing body. Kudos to the dancers who agreed to be my "puppets" for the live experiment and a special shout out to Suhail Bhan, who delighted Chennai audiences with his graceful "RADHA" and a short improvisation in my turquoise maxi skirt that I put on him at the last moment! 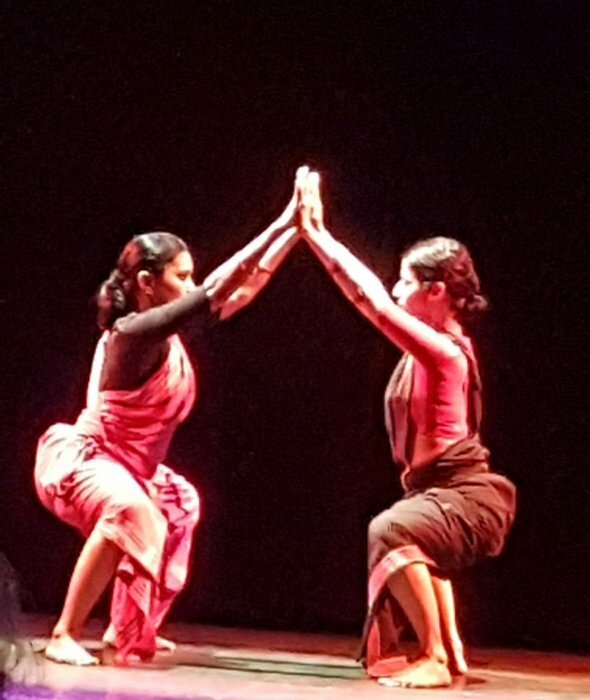 What Krithika Subramaniam attempted to bring to NATYA DARSHAN edition #16 was professionalism and a sense of "new-ness". Well managed and elegantly produced in the cramped space of the densely populated Mylapore Bhavan premises, next year's theme and conference event promises more adventurous forays. Srinidhi Chidambaram attempted and succeeded in ideating and convening the ambitious 5 day event with great flair. Supported efficiently by the rapidly maturing producers at Team AALAAP, the conference witnessed excellent crowds, mostly young students from outside Tamilnadu and India. 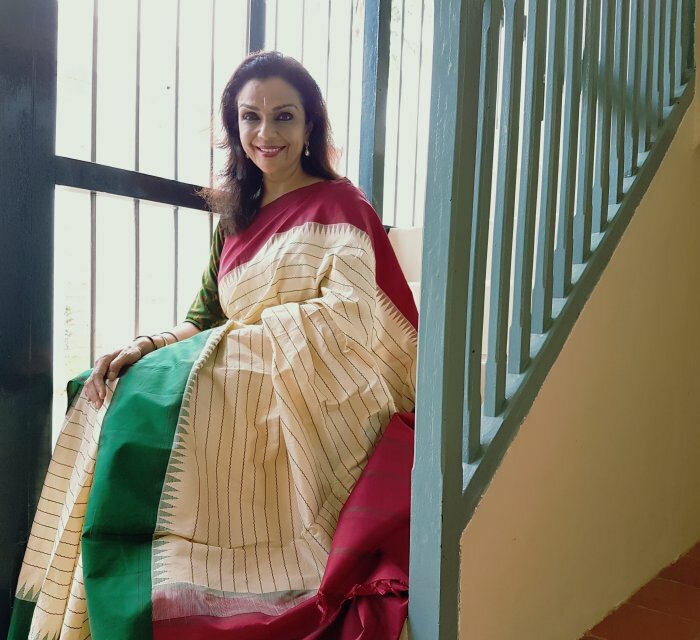 The Sri Krishna Gana Sabha auditorium saw large crowds every morning gathered to watch and listen to their icons - Valli, Padma, Shobana, Malavika, Dhananjayan and others. The theme was centred around Srinidhi's passion - Bharatanatyam. Many of us thought that the theme had been flogged past its life purpose and that there would be little interest in talking about the same old issues that have yet not been tackled effectively. The response proved otherwise. However, many artistes went down memory lane sharing glimpses into incidents and events that shaped their artistic journeys. On the days that I attended, I can cite the engaging lecture by the eloquent Lakshmi Vishwanathan who spoke about ‘The Bharatanatyam dancer from an era bygone.’ Nutritionist Dr. Sheela Nambiar who warned dancers that just dancing will neither keep you slim or healthy unless you balance it out with proper exercise and nutrition; Rama Vaidyanathan and Malavika Sarukkai who used the time given to perform more and speak less; Geeta Chandran who urged Chennai sabhas and dancers to relook at the lopsided economics that never favour dancers; dance musicians (S Rajeswari, Radha Badri, Nellai Kannan and Lalgudi Krishnan) who spoke about their growth as artistes under the great traditional "nattuvanars" with great feeling and passion; Revathy Sankkaran who kept us in splits with her persona of Jigna Devi the yesteryear heroine recalling the rise of classical dance in cinema; Aniruddha Knight and Narthaki Nataraj whose words shone with a conviction that the others on their panel did not possess; popular young gurus like Anitha Guha and Parvati Ravi Ghantasala on the challenges of handling students of today; Priyadarsini who spoke with increasing confidence about her role as director of the Kalakshetra Foundation; Urmila Satyanarayana who said that the great Dandayudapani Pillai himself created an ARANGETRAM PACKAGE for students in discussion with their parents. Of course, he also spotted promising and lazy students and told their parents in clear and direct terms! The packed five day programme saw dancers and presenters from UK, USA, Australia, Canada, Singapore, Malaysia, Japan and South America in attendance. However, the overall tone did not veer too far away from certain cliches of "DIVINE", "SACRED", "SPIRITUAL", "LIFE CALLING", and a certain level of self indulgence that is true to the Madras "SMUG RASA" bhava that permeates every Margazhi. My own presentation was about how Bharatanatyam's golden age has passed from the era of being the image of Indian culture on tourism posters to a mere community activity all across the world. It is now the golden age of Odissi and Kathak - something I have written about on several occasions. Perhaps it is the success of Nrityagram, Sujata Mohapatra, Akram Khan, Akash Odedra and Aditi Mangaldas that have fuelled interest in these two styles and have pushed BN behind. When I made the comment that "Bharatanatyam is boring", I heard a gasp in the crowd. I continued on the premise that there were too many mediocre and badly trained BN dancers who are mindlessly performing without any sensitivity to the situation and the audiences they address and who have set up shop in all corners of the globe (perhaps even atop Mt Everest by now!) thus overexposing the style in a negative way! Overinvested in the aesthetics of presentation and ignoring the process or any critical enquiry, though we have today a plethora of professional dancers, there is a woeful lack of DANCE PROFESSIONALS, a body of enthusiastic people who can manage, curate, direct, choreograph, fund raise, write grants and be advocates for the art. Most importantly, I shared the reality that dance discourses around the world have become increasingly connected to local and national politics and now include everything from sports, politics, fashion and street culture. As expected, the very next day, my statement was taken out of context (in my absence) to claim the very opposite. It drew instant applause from the crowd. If this kind of simpering and over polite pandering to some invisible ALT-RIGHT view is continued then the teachers, gurus and practitioners are collectively responsible for the huge MESS that is Bharatanatyam today! Here I MUST make a few important observations. The afternoon slot at Narada Gana Sabha is paying the performers MORE than the senior evening slot at Sri Krishna Gana Sabha, Bharat Kalachar and Kartik Fine Arts!!!!!! These irregularities reflect badly on the organizations and the attitude towards senior artistes is something that must be discussed seriously. If we care deeply enough we must come together, discuss these issues on a serious note. BARKHA DUTT - are you listening? How about a national television debate? While the 2016 Chennai session did not reveal any clear answers and perhaps left many in the audience yearning for a resolution, it is evident that the time has come to stop pouting, whining and pointing fingers. It is time for some collective action and activism alongside the private corporate sector. A small group and forward cultural advocates are needed to join hands to help create a professional atmosphere for emerging dancers. Spotting talent post arangetram and grooming them, nurturing them from a local level to a regional level and then to a national platform requires patience and resources. Companies involved with CSR-Corporate Social Responsibility can also think about CCR-Corporate Cultural Responsibility. When former Finance Minister P Chidambaram shared the sad news that the Culture Ministry RETURNED the unused budget allocation every April, it came as a shock to many of us who thought that the Government must commit more funds towards the performing arts. Perhaps the same story continues with the present government. While both conferences - NATYA DARSHAN and NATYA KALA CONFERENCE - could be considered successful with the numbers that attended and the variety of subjects tackled under the BN Banyan Tree, the lack of serious scholarship was evident. Perhaps the two capable women, Krithika and Srinidhi, can think about inviting a scholar to help augment their ideas into solid critical theory and objective analysis next year. I chanced to sit next to whiz film star/choreographer/director/dancer Prabhudeva on a flight to Mumbai last month. We chatted nonstop about Bharatanatyam, film choreography, his devotion to his late guru Udupi Laxminarayanan and his inspirations from Butoh, Beat Boxing and Hip Hop. His view on dance making for stage and camera were fascinating and classical dancers need to hear more of this genius mind at work. Convenors - are you listening? Only in the city of Madras will you get thronging crowds for a 7am Upanyasam (religious discourse) or 6am music concerts in the park! Every hall in the city was packed to capacity in the early hours, with elderly men and women wearing woolen "monkey caps" to ward off the 24 degree "chilly winter" winds! Hundreds streamed into SPACES on Elliot's Beach on all 3 days of the Chandralekha tribute and many dancers performed to sparse audiences. The Music Academy drew capacity crowds for all their 8am lectures as well as their afternoon and evening concerts. 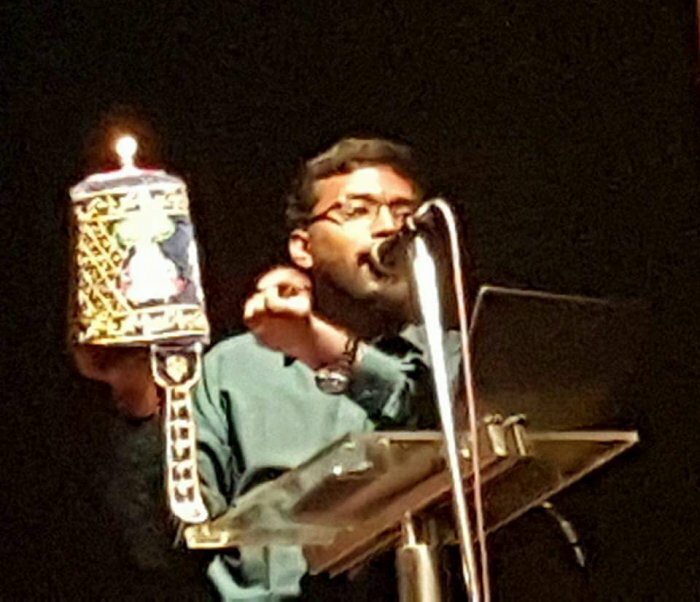 The two stunning moments in my own Margazhi non-dance sessions were listening to lectures on Andal by Zakir Hussain and two talks on Arayer Sevai and Srirangam temple traditions by Architecture and History Professor Madhusudhanan Kalaichelvan. Both speakers were lucid, flowing and brimming with passion and knowledge about their subjects. The nuances and details revealed kept me gripped and engaged. Zakir has certainly found a new calling that will be far more rewarding than his Vaishnava themed dance productions. As for the Professor, he is a jewel that has now been discovered and deserves to be lauded! Shows that excited me this season so far (there are many more artistes to watch during the Music Academy January festival) filled me with hope for the form and its future. Watching the peerless Malavika Sarukkai after a gap of two years revealed an artiste who is on her own personal journey. She chose to develop the themes of the Alwar poet saints and Krishna's Ras Leela and performed as if the audience did not exist. I did not see the sweet restfulness of the "pasurams" that characterise the Vaishnavite Bhakti poetry but I DID see a woman in her prime - confident, self assured and in full flow of her body and art. 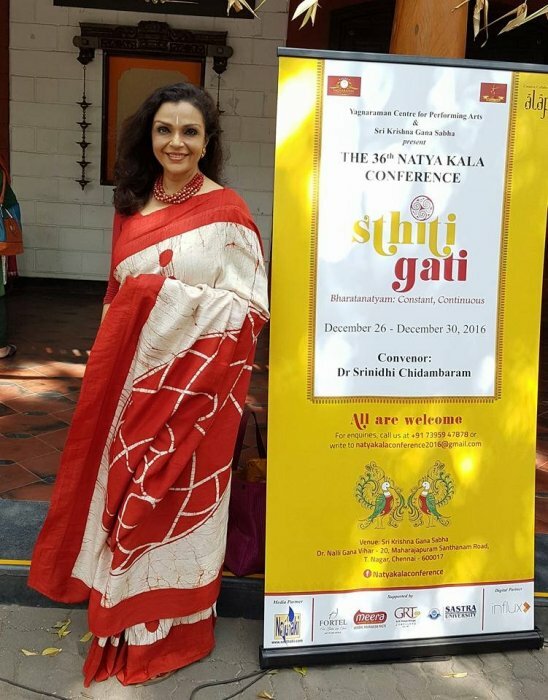 What I DID NOT ACCEPT in Malavika’s morning presentation at the Natya Kala Conference was her claim to have choreographed a GENDER NEUTRAL DEER! For one of her earlier pieces called YUDHISTIRA'S DREAM, Malavika - in her talk about THE BODY AS CANVAS - claimed that she was dancing gender neutral "DEER-NESS". What pray does that mean? And how does one "dance" a male deer and a female deer? The comments left many in the audience aghast at this attempt at intellectual superiority. DEER Malavika - you are a great dancer and don’t need these statements! The one show that left me thoughtful, curious and excited was Geeta Chandran's ANEKANTA. Inspired by Jaina philosophy, the performance had the benefit of an excellent lecture by scholar/author Sudhamahi Regunathan who set the tone and tenor for what was to follow. Geeta was luminous. Through the four sections, the haunting Jain hymns (kudos to Venkatesh and Vasudevan) and Geeta's meditative opening were in perfect sync. The picks of the evening were the multiple imaginations for the much loved KRISHNA NEE BEGANE through the eyes of a mother, a lover and a devotee. Here, Geeta looked radiant in soft blue (Sandhya Raman’s superb styling) and showed her evocative abhinaya brimming with nuanced experience. The second and by far the best moment was her rendition of RAVANA. Dressed impressively in black/gold, Geeta never shifted even for a moment from the imperious character of the Emperor, using every angle, gesture and stance to reveal pride, ego, frustration and impatience at Sita's impervious disregard for his splendour. 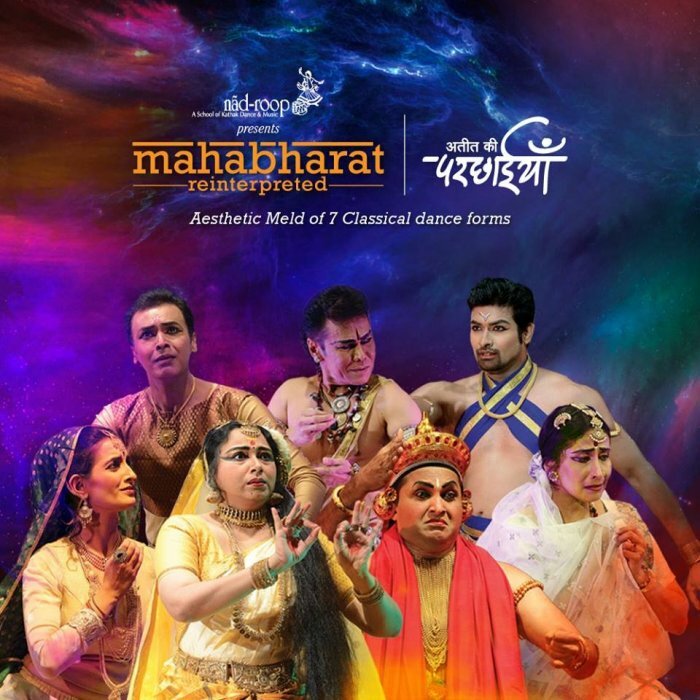 This is a true "tour de force" of NATYA- acting, dance, movement and suggestion! ANEKANTA was an evening that left the audience mesmerised at the possibilities of the Bharatanatyam form and myself wishing that more dancers were in attendance. Geeta’s daughter Sharanya Chandran was quietly impressive with her solo at another venue. 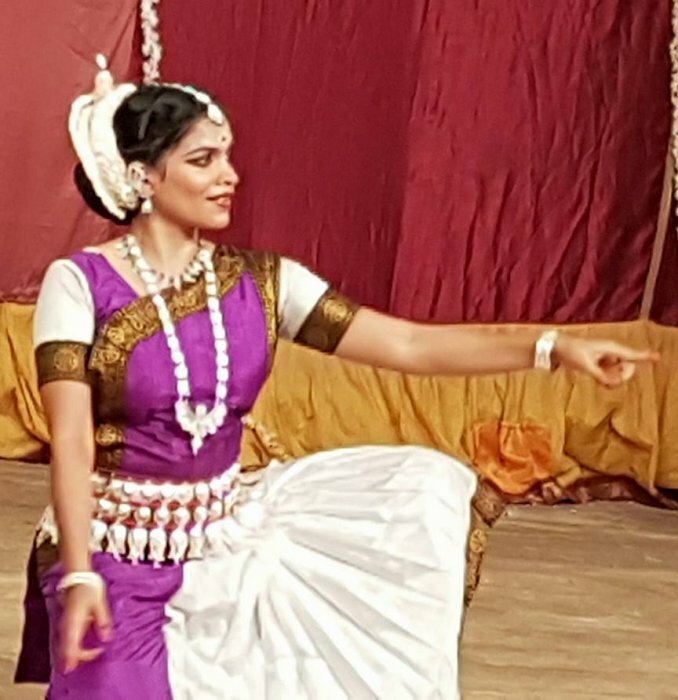 Elegant and confident, she used her tall frame and long limbs to great advantage and filled the large stage with intelligent choreography and effective abhinaya. In all, the Delhi aesthetic is certainly of a more pleasing nature than the often loud and overstated presentations of the Chennai dancers. Even the gift shawls draped over the dancers were appalling. Bengaluru dancers also score higher marks for their professionalism and training. So, my dear fellow locals...please take note! If you have no time to watch visiting dancers who are guests in our city, then at least acknowledge that there is much to learn about improving the overall look of each presentation! Please put down that mirror and that selfie moment. Look. Read. Watch. Learn. Improve. Evolve. My year ended on a beautiful evening watching Chandralekha's SRI remounted on a new generation of dancers. Under the direction of the original dancers - Padmini, Meera and Krishna - the group of 9 attempted to learn, synthesize and deliver a lifetime of politics, resistance and dance that Chandralekha represented. The post performance discussions were most interesting for the audience who stayed, where the genesis of SRI and Chandra's early seeding of the work emerged from an international workshop of WALKING from the various styles of dance, martial and folk arts. Watching the dancers reprise a work first created 25 years ago in the very same theatre where it was first conceived, had a historic and momentous feeling. That too on the very same day - Dec 30th - when Chandra passed on 10 years ago! That someone of Chandralekha’s stature does not have good quality recordings and archives for students to look at and study is a dismal reality. Hopefully, the situation will be righted in the near future. Please let 2017 bring us cheer and good news. The past year has been dreadful in so many ways. Chennai reeled for the second consecutive December under the fury of nature. The worlds of music, dance, theatre and cinema lost many giants. Perhaps even more devastating than the ancient trees that were felled in the 24 hour eco disaster. The annual PADMA awards list will be revealed later this month and there is so much more dancing and performance events ahead. January is brimming with events. It is the season of the LIT FESTS and I find myself in Kolkata and Chennai plunging into exciting discussions with young and mature audiences. What an exciting time to be an actor-dancer-speaker and writer! As the clock ticked its way towards the very end of the year, I sneaked a peek at the Singapore Apsaras Arts in a Bharatanatyam thematic performance (impressive!) and greeted the New Year at my favourite city shrine in Triplicane. Here Vishnu as the charioteer Parthasarathy, stood dressed in royal blue velvet studded with pearls, a ritual gift from the Muslim embroiderers who live and work on the parallel street. Fill yourselves with joy. Be kind to your bodies. Hug your loved ones. Cherish your private moments. Always keep that flutter of curiosity in your hearts. Make a resolution you can keep for at least one month! Ahead... another year of dance and imagination.